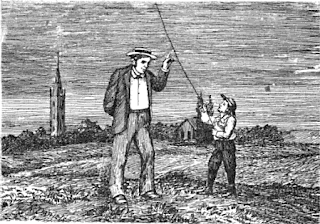 “How do you know there is a kite in the air?” said a man to a boy who was holding a string leading skyward. “I see nothing and you see nothing.” “But I feel it pull!” was the prompt reply. So with many unseen influences coming from various sources. We cannot explain their origin, but somehow they mold and shape our lives; somehow we feel them pull our hearts upward and onward. We associate with men whose thoughts are ennobling, whose lives are refined and have an aim, whose conversation is elevating, whose manners and bearing are courteous and dignified, and unconsciously our own lives are taking on the same traits, our characters are expanding in the same direction. On the other hand, let our companions be those whose thoughts are debasing, whose lives are coarse and aimless, whose conversation is commonplace and borders on the vulgar, whose manners are rude and offensive, and unconsciously and involuntarily we, at least in some respects, show the influence of these surroundings upon our own lives. Sailing from Cuba, a sailor thought he had gained sixty miles one day, but the next observation showed that he had lost more than thirty miles. There was an unseen undercurrent. The ship had been going forward by the wind but going back by a current. A man’s course may often seem to be right, but the undercurrent is sometimes carrying him in a direction the very opposite of that which he thinks he is going. Unseen influences may be debasing or elevating. Every man has an influence over someone else. This influence may be far-reaching or otherwise, according to circumstances. It is impossible to deny or to be free from the responsibility of exerting an influence upon others. Each one must, however, decide for himself whether this influence shall be ennobling or degrading. Many a pliable youth, whose future was still undecided, has had his destiny determined by a word, a look, a touch, a shadow. Thousands of men have been destroyed in this world who never knew, nor even suspected, that it was some small circumstance that determined their destruction. Thousands of men have been led by some unseen influence to choose the better part and to give their lives for the uplifting of humanity.